PLEASE NOTE: THIS PRODUCT IS BEING PHASED-OUT BY THE MANUFACTURER. The Workman EA lanyard uses a 12mm Kernmantel Rope with a fixed length of 1.5m. 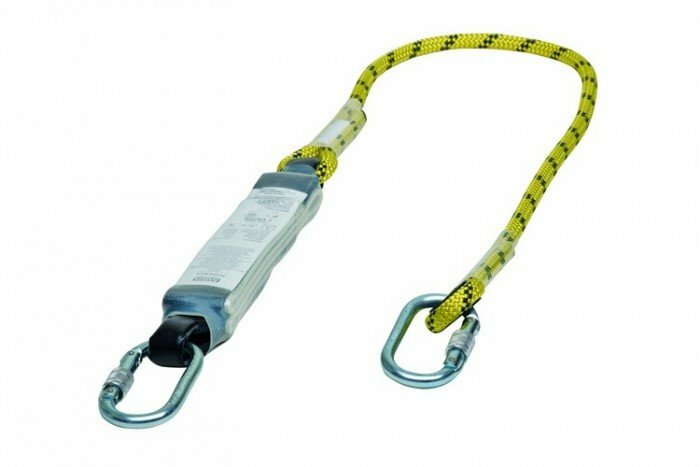 It is for single-leg use and features a steel screwgate carabiner for the shock absorber end connection and an aluminium scaffold hook for the rope anchorage. MSA Workman energy-absorbing lanyards are part of MSA’s range of fall arrest equipment. The lanyards are lightweight with a low-profile body and an energy absorber which includes a clear, durable protective cover over the labels. This increases the service life of the product and allows for easy inspection. The MSA Workman Energy-Absorbing lanyards include a tear-tape design which keeps fall arrest forces below 6kN. They are certified to EN 354 and EN 355.